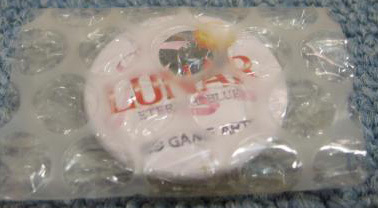 These lapel pins of the various LUNAR games come from Working Designs. These pins are unfortunately out of print. There are also a few import lapel pins. We don't have any shots of these at the moment, but for now, here are the 4 pictures of Working Designs various lapel pins!